We took a weekend trip to Nashville earlier this month. 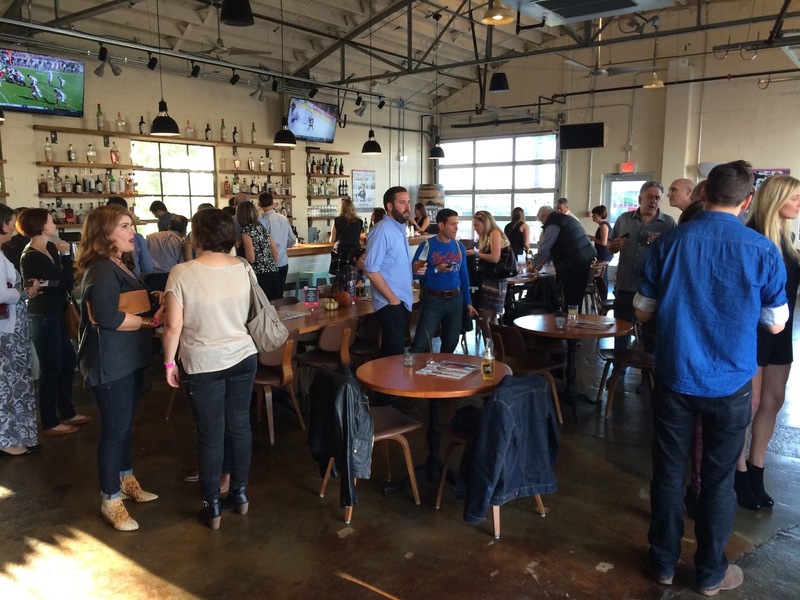 We wanted to go back to a couple of places that we ate on the Bon Appetite Grub Crawl last Fall. 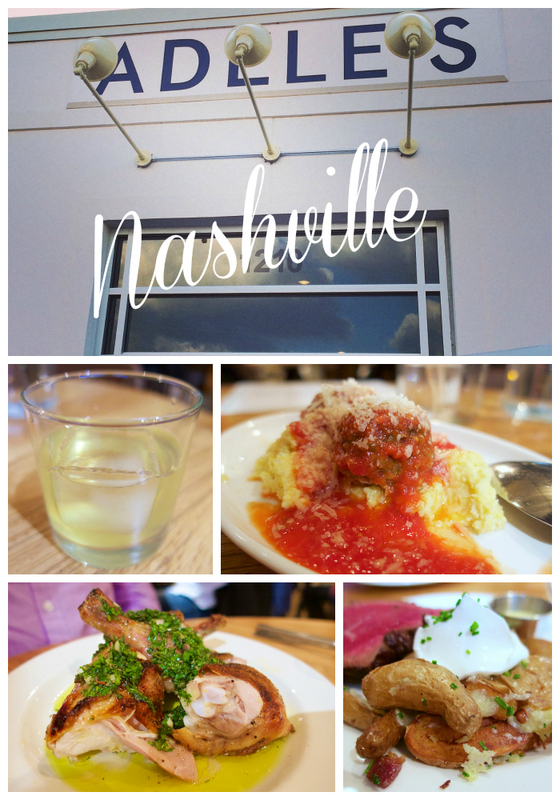 The first place on our list was Adele's in The Gulch. Everything we sampled on the Grub Crawl was absolutely delicious. We couldn't wait to eat a full dinner! Dinner was fabulous! I even found the recipes for a couple of the things we ate/drank! 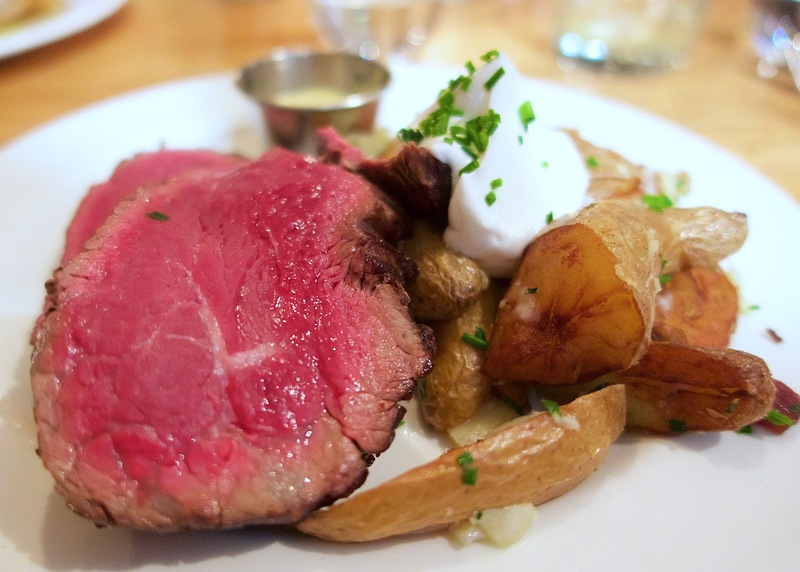 Adele's is owned by NYC Chef, Jonathan Waxman. He named the restaurant after his mother. Adele's is housed in the old Universal Tire Center. Adele’s has three areas for dining: the main dining room, the garage and the skyline outdoor patio. We waited for our table in the bar. I had a glass of prosecco. I loved the glass! We were seated in the main dining room. 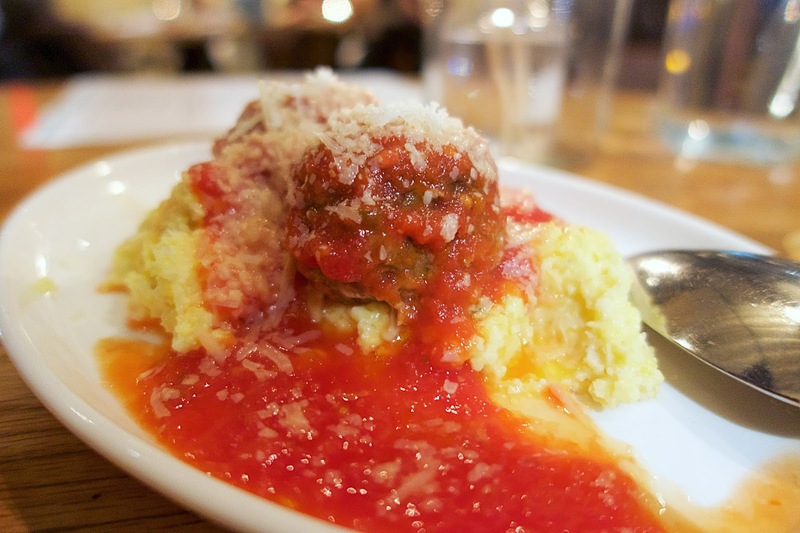 We started with the meatballs over polenta. It was amazing. I wanted to lick the plate. I saw tons of tables getting the meatballs - they appeared to be the most popular appetizer. 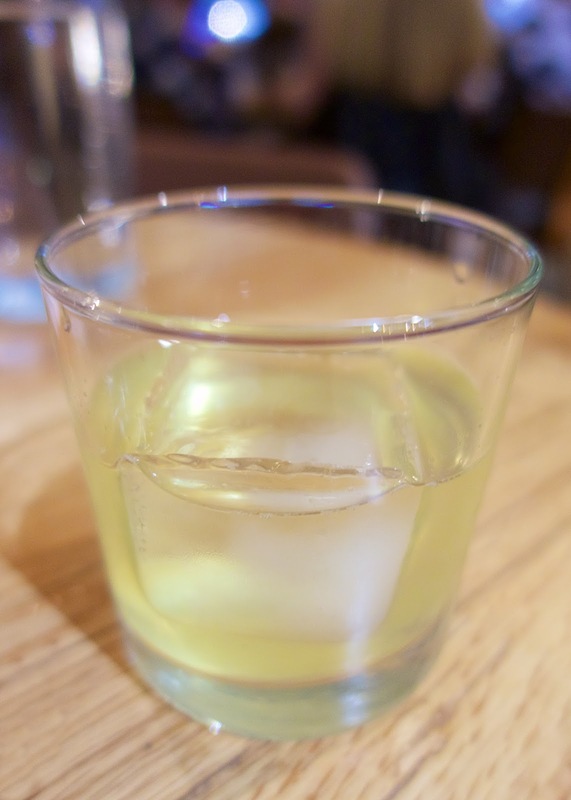 I had to get Adele's signature cocktail, the Milk Punch. Smooth and easy to drink. Probably too easy! Combine tea, lemon juice, orange juice, simple syrup, rum and vodka in a large pitcher. In a medium saucepan, bring milk to a bare simmer. Immediately pour milk into the vodka mixture. Strain, cover and chill until cold. Serve over ice. 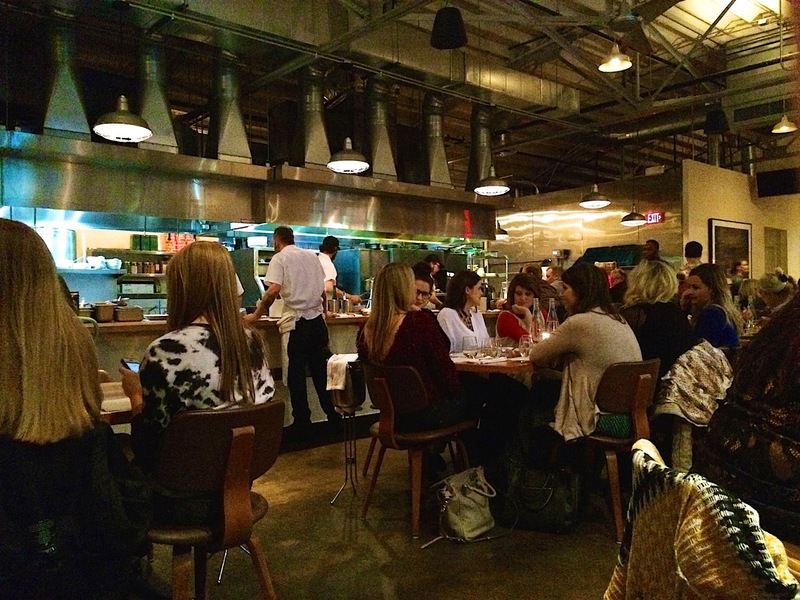 Adele’s features a large wood burning oven and old fashioned charcoal grill. 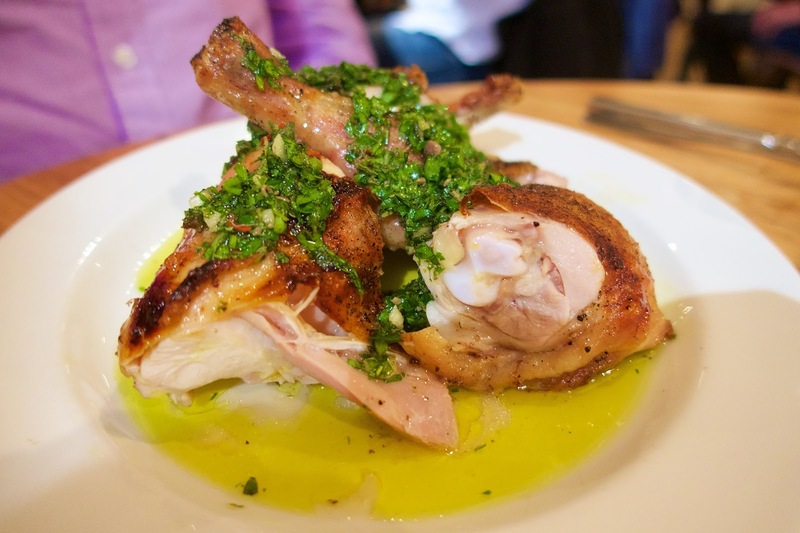 The JW Chicken with Green Sauce was to-die-for! It had tons of lemon and garlic flavor. I will be giving this a try very soon! 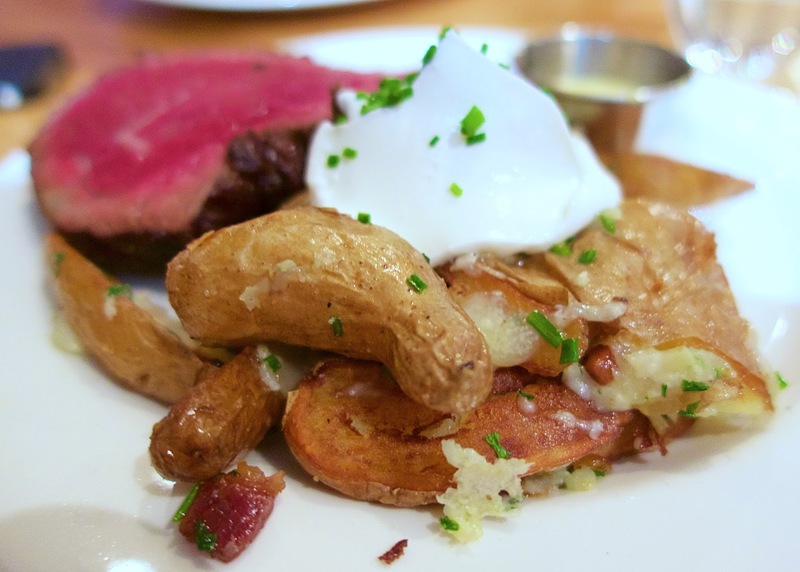 The loaded fingerling potatoes were terrific. Potatoes, cheese, bacon and sour cream. We also got the filet. It was cooked perfectly. It had great flavor from the charcoal grill. They grilled the filet and then cut it in half before they brought it to the table. We didn't have room for dessert. Next time! We are already planning on going back. We are planning on splitting a couple of appetizers, the chicken, the fingerling potatoes and a dessert. Have you been to Adele's? Wow! 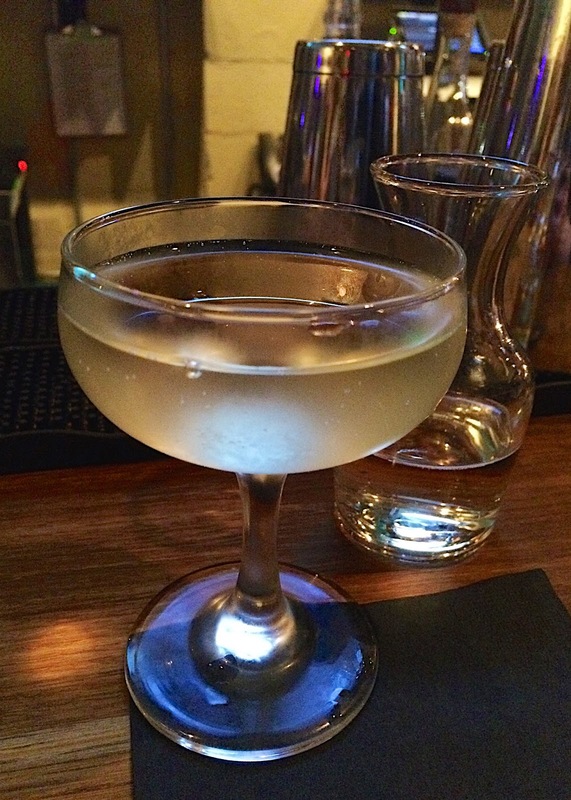 So much delicious food and that milk punch sounds marvelous. 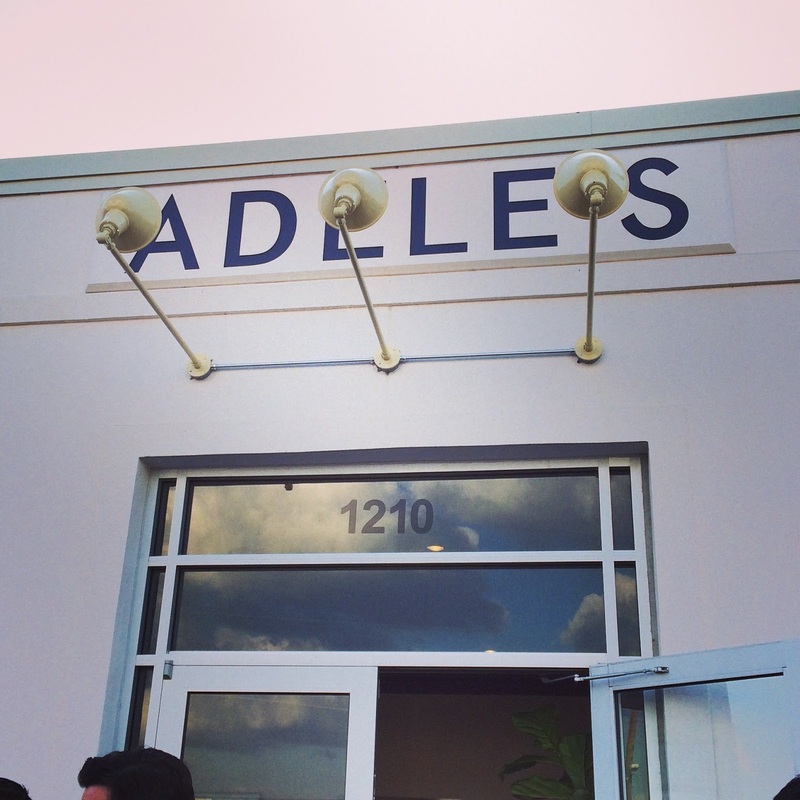 Hoping to make a trip to Nashville in the next year or two and will have to put Adeles on my list of places to visit.